Hi I need advice on adding a partner to my partnership and having a cross holding in the new partners firm. How can we enable this? What kind of paper work will be required? In terms of Section 31 of the Indian Partnership Act, 1932, a new person can be introduced as a partner into a firm with the consent of all the existing partners subject to the execution of a fresh Partnership Deed. 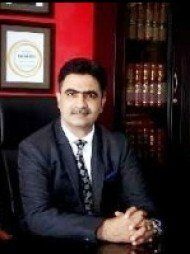 At the time of execution of fresh partnership deed presence of all the existing partners along with the new partner and witnesses is essential. All the partners are required to carry the original copy of their respective Permanent Account Number (PAN) as well as residence proofs. The date when the fresh partnership deed is executed the previous partnership deed shall stand superseded. However, a person who is introduced as a partner into the firm does not become liable for any act of the firm done before he became a partner. Cross holding across firms do not have any material effect on the ability of a particular firm; each firm being a distinct legal entity; except from competing businesses prospective.